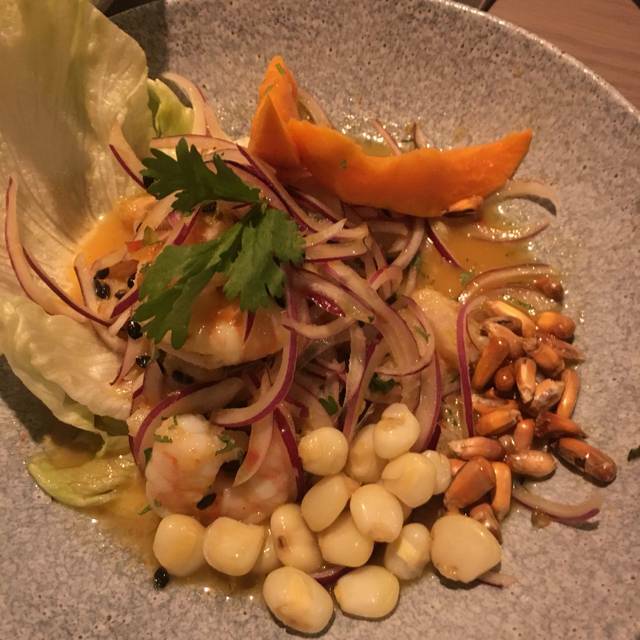 Situated in the bustling and vibrant Dupont Circle neighborhood, Pisco y Nazca Ceviche Gastrobar brings people together in a space that’s packed with personality and soul. 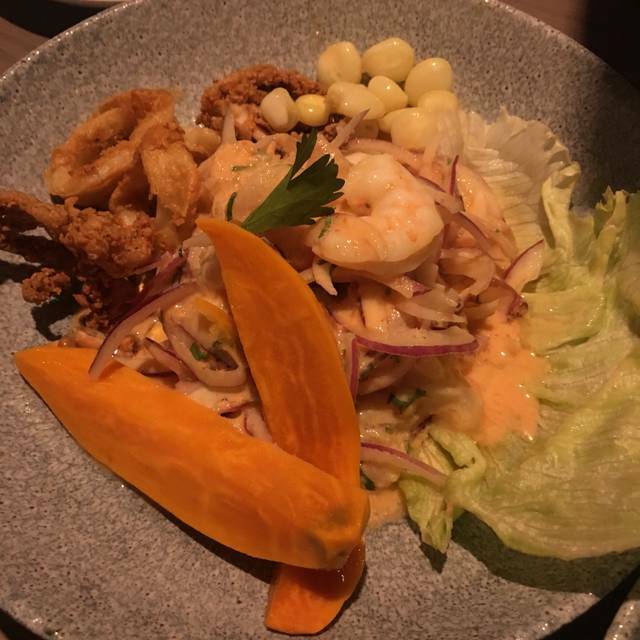 Pisco y Nazca Ceviche Gastrobar adds a modern twist to Peruvian cuisine. Inspired by Peru’s top eateries, the new DC outpost serves up bold-flavored dishes, unique cocktails and a vast selection of local and international beers. Situated in the bustling and vibrant Dupont Circle neighborhood, Pisco y Nazca Ceviche Gastrobar brings people together in a space that’s packed with personality and soul. Our vibrant bar with open kitchen views is the perfect spot for sipping, socializing, and savoring our crazy good ceviche. Come experience a celebration of good eats and good times for brunch, lunch, dinner or happy hour. Join us at Pisco y Nazca for your Mother's Day celebration, opening at 10:00 am for brunch! Indulge in Mother's Day dinner and mom will receive a $20 gift card from Pisco y Nazca to celebrate her day! Celebrate Easter Sunday at Pisco y Naza, opening at 10:00 am! Enjoy our a la carte menu offering brunch favorites or explore our $30 three-course brunch prix fix menu. Opt-in for bottomless mimosas and sangrias for $18! The food was absolutely delicious. The service was also outstanding, our server Jaime was very knowledgeable and made great suggestions, ask for him if you have a chance. GPVDinner, It will be our pleasure to host you again soon. 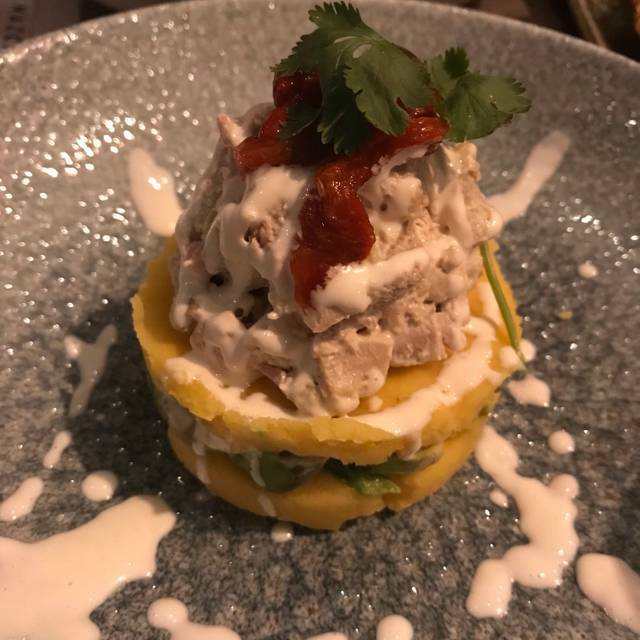 Thank you for taking the time to write about your experience at Pisco y Nazca. Excellent experience in every way imaginable. Great service and great food. Our server Angel was also great. I made a reservation for five people and we were seated at a very small table that made it challenging for conversation. I would have understood had the place been packed; but it wasn't. No one was ever seated at the two top table adjacent to us. They could have easily pulled that table over to accommodate our group. Otherwise, no complaints. Good service but took too long to get drinks and food. Delicious but extremely nosy -difficult to have a conversation. Room acoustics don’t help. Enjoyed everything we ordered from the cocktails to the ceviche to the entrees to dessert. Plus it didn't break the bank. Horribly slow service. Each round of drinks took at least 15-20 minutes to arrive. Food left a lot to be desired. Arroz con mariscos was very bland. Our table shared a few apps based on waiter recommendations, but none met my expectations. Probably our fault for not going with ceviche, as I’ve heard that’s good. We had to ask for the check twice, and it took another 20 minutes for our waiter to come back the second time in order for us to ask...again. Ola, Thank you for your preference. We will love to welcome you again soon. Piscos sours and Chilcano cocktails are delicious, made with original peruvian pisco licqueur! 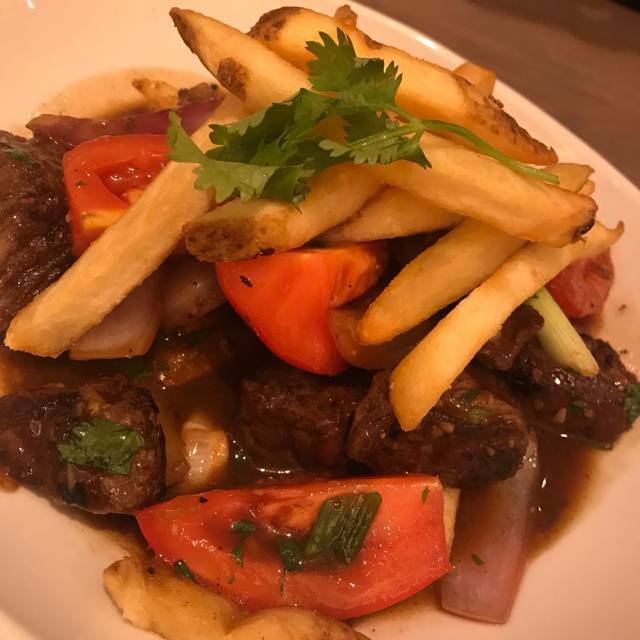 Great variety of dishes, hard to decide, but finally had a traditional "lomo saltado". Good service and cozy ambience. The food was outstanding but the noise level was not. It was so loud we asked to move tables which they accommodated and although it was better it was still loud but at least you could hear the people at your table. It was also very warm. Nice environment, however our food took forever. People around us who ordered food after were finished when we were served. Great restaurant, good location and pleasant atmosphere. Everyone was quite pleasant and our waiter/waitress was quite pleasant and very helpful with answering any questions regarding the menu or offering good menu options. Will definitely return! 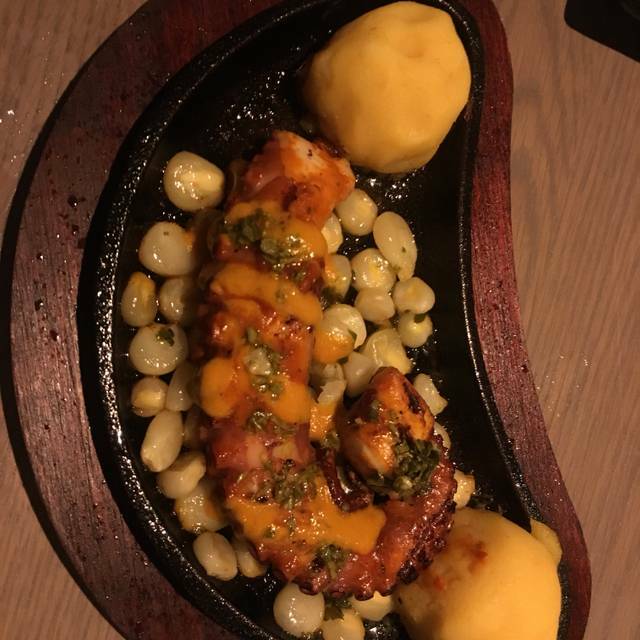 Nice Peruvian food. Ceviche was very good and service was great. Food was delicious as well as the drinks. I recommend the Ceviches, specially the Callejero.. so good!! And a Pisco, I went for the passion fruit! amazing food, amazing service! you have a great staff and is always hospitable! Beautiful ambiance, great service and DELICIOUS food for a reasonable brunch price! So glad I discovered this place. The drinks were also very good, I will be back. We love coming here, but sorting out payment for a group of 11 was tough. Some of us did the prefix menu, but it didn’t show that way in the bill, rather we had to figure out our options in order to subgroup our choices to pay. It was very stressful, we hope that in the future, it shows as pre fix totals for example $30 and the number of people that consumed from the pre fix menu. Same w the bottomless option. Great food, great cocktails, and overall great service. Will definitely come back again! I’ve been coming here since it opened. Amazing place, amazing food, amazing service. Shoutout to Angel for always proving the best service! Great spot but it’s also a bit loud there. The food is amazing and for the portions (brunch and pretty big. Thank you for your visit and for your kind feedback. We are happy to inform you that we are working on improving the acoustics of Pisco y Nazca and by the end of May we will have concluded with the works. You will then notice the difference. It will be our pleasure to host you again soon. Amazing food! Awesome atmosphere and attentive service! I will be back! A bit noisy for an intimate special date night, but great ambience and staff. superb service, and delicious food. The noise level was high, but we managed to converse as we ate. We spent three hours there. We would happily return for another delicious meal and recommend the place to our friends. Fabulous dining experience. We were looking for something authentic, different and delicious and that’s exactly what we got. We loved every bite including our drinks and dessert and felt fully satisfied but not overwhelmed by our wonderful food. Highly recommend this place to for all foodies out there. There was one dish I would go back for and that is the tostones. Delicious. The octopus and scallop starters lacked flavor. The tuna tartare was not good. The portion size was way too big and the tuna had been worked into a meatball rather than diced. The texture was odd and the presentation was off putting. I had the worst service I’ve ever experienced in my life. I will never go back. I’ve never had such poor service, and a server yelling at me over a bill. It was terrible. Food was decent. That server should get a job that doesn’t deal with customers. Our favorite brunch spot! Must try at least one of the ceviches. Loved that it was open until 11:30. Makes it a good option for after theater dining which is why we tried it. Liked the 3 dishes (tapa size) we tried. Our only comment was the ceviche was too large even for 2 sharing. We’ve traveled a bit to S.Am & never had so much in 1 serving. Really liked the pisco sours — a real reason to return. Creative menu. Amongst our choices: ceviche sampler, empanadas, fried seafood sampler, skirt steak. All quite taste and fairly priced. 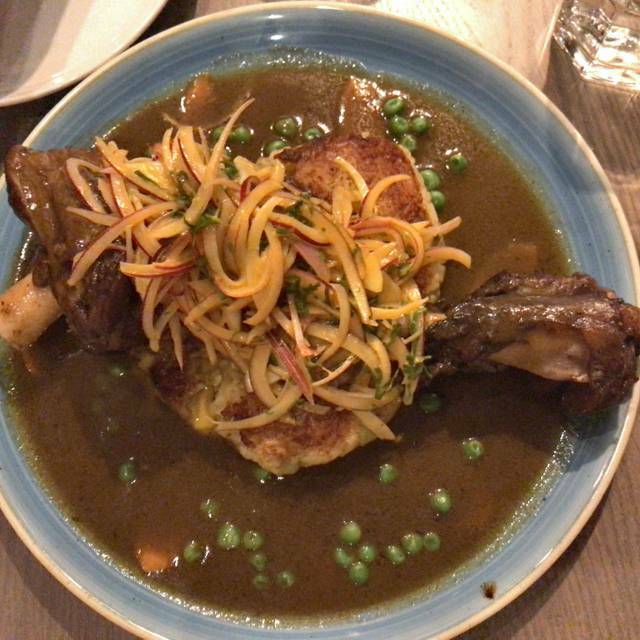 This is the new peruvian restaurant to try. 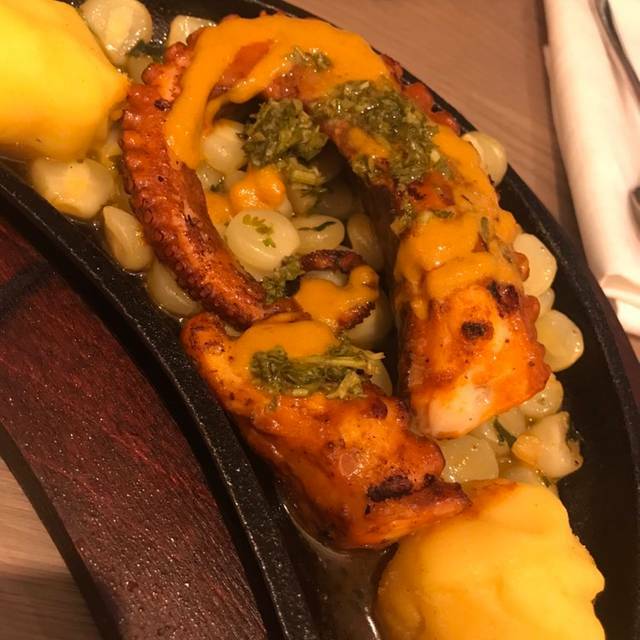 Menu includes peruvian dishes that are a must, and includes drinks as well. 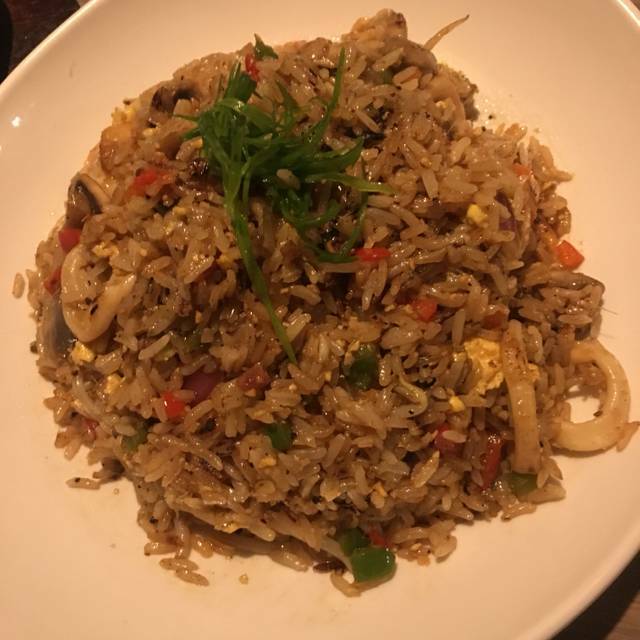 Food was tasty, portions where bigger than expected :) and the service perfect, very knowledgeable waiters that make the right recommendations. Best Peruvian food in DC! Love this place. They have the best cevice in town. Their mixed grilled fish/seafood platter is outstanding. Healthy and delicious choices for authentic Peruvian food in an attractive, vibrant setting. 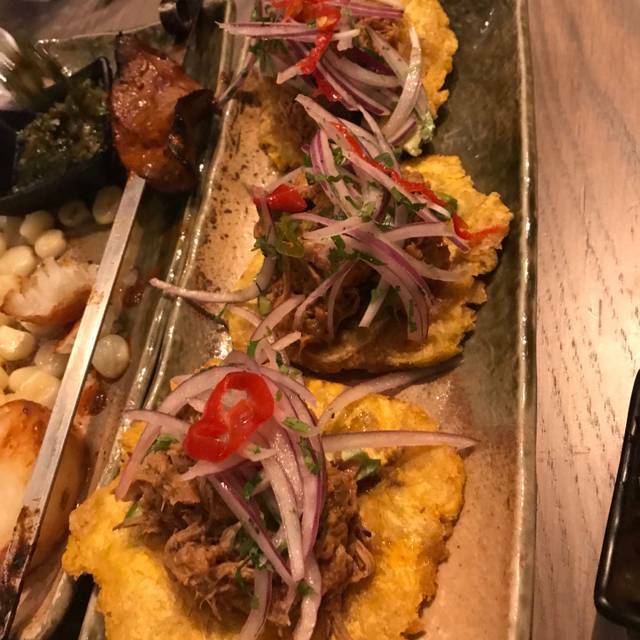 See Full Restaurant ListMake a Reservation at Pisco y Nazca Ceviche Gastrobar - Washington D.C.